The Prometheus festival is the top event highlighting the ancient Hellenic spirit. 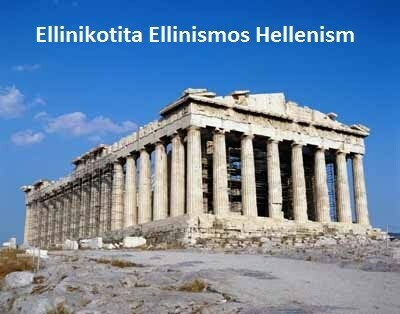 Inspired and realized by the Stockholm University Professor of Philosophy, Dr. Tryphon Olympios, it has now gained the status of a pan-Hellenic institution, as it now enters its' 18th year of continuous presence. A multitude of visitors from Greece and abroad gather every year at the fabulous natural surroundings of the Prometheus site at the foot of “Mount Olympus” to, exchange opinions, honour the ancient Hellenic philosophers, who are the fathers of the Hellenic Nation, to breathe the refreshing air of the countryside, to camp their tents and to spend the night talking and stargazing on the “Symbolic Spiritual Mountain of the Gods”. And of course, to get initiated to our ancestral spirit by watching the events of the Promethean drama and the Promethean fire that have been the cornerstone of the Hellenic worldview and the Hellenic culture. These events (Saturday night, day two of the festival) attract thousands of visitors due to the deep emotional and mystical atmosphere they invoke. Following the main event is a Dionysian celebration until late in the night. On Sunday morning (day three of the festival) cleansing, name-giving and marital ceremonies take place, according to the rituals of the Hellenic National Religion, the pre-Christian tradition. All life, and all living things on this planet, are part of a single, all-encompassing global entity or consciousness which is named Gaia. It is this global consciousness, Mother Gaia, that makes our planet capable of supporting life, while our near neighbors in the solar system are barren and lifeless. Through the global consciousness of Mother Gaia, all living things on this planet, from their most primordial instincts, are constantly interacting with their environment to ensure the harmony, balance and continuity of Life. Live in a balance with Mother Nature and health and healing are yours; violate Her laws and get out of balance, and you pay the price in suffering and disease. In this sense, all medicine and healing can be seen as a system of ecology. Medicine is and always has been the Divine Art. To primitive man, the ability to heal and cure disease seemed to be magical, even miraculous. Every traditional culture has its gods, demigods, and heroes who are associated with the art of healing. Apollo, a solar deity, was the god of archery, music and healing. Apollo personifies the active, Yang path to healing through self betterment and physical culture. The solar principle he represents manifests in the body as the Vital Force - that which the Chinese call Qi and the Hindus call Prana. Called The Bright One, Apollo is an eternal youth, and the bringer of enlightenment and higher consciousness to all mankind. Advocating order, balance, harmony, personal discretion and conscious living, Apollo's two basic health mottos are: Know thyself and Nothing in excess. Apollo's bow symbolizes the concept of tone and the need for physical conditioning. Tone is the dynamic tension between opposite yet complementary forces within the human organism. The higher the level of tone, the greater this dynamic tension is, and the greater the capacity of the organism to respond with decisiveness, strength, and vigor. When we exercise, we're toning up our muscles; we also feel more vital and alive, responsive and energetic. Stringing Apollo's bow means bringing these powerful opposing forces into the proper relationship or alignment. Until this happens, the system is non-functional, or dysfunctional, and unable to respond properly. Apollo's lyre symbolizes the gift of music, which is the harmony of sounds. To have health and healing, there must be a harmonious ordering of all the vital forces within the organism; all the strings must be in tune. The lyre is the divine instrument by which we will heal our wounds by harmonizing our seven energy centres in the body with its seven strings. He is the God which presides over harmony and makes all things move together harmoniously both among Gods and among men. There's a deep therapeutic relationship between music and healing. In Greek mythology, Apollo is acknowledged as the original source of health and healing. He is the first god addressed in the Hippocratic Oath. He was also the father of Asclepius, the god of medicine. Apollo was also known as Ομο-πολων which means that he could move in the opposite poles at the same time. Views all within, and all beneath the sky. Balancing the poles harmoniously, as you keep the living races distinct.".. Apollo the solar diety and his twin sister Artemis the lunar diety who were both expert archers were born on the religious sacred island of Delos. For this reason it is said that it was forbidden for any mortal to be born and die on this sacred Island. Hermes, the messenger god on Mount Olympus, had a magic wand called a Caduceus, which was given to him by Apollo. The Caduceus is a rod or staff framed by two intertwined snakes; at the top of the staff are two wings. The Caduceus symbolizes the spinal column, the central conduit for the Psychic Force, or nerve energy, which animates all the organs and members of the body. The places where the snakes cross represent the spinal energy centers or chakras of the subtle body. The two snakes represent the two complementary halves of the nervous system: motor and sensory, sympathetic and parasympathetic. For optimal functioning of the nervous system, these complementary halves must be balanced. Hermes, also called Mercury by the Romans, is sometimes pictured as a hermaphrodite, or a person who is half male and half female. So it is with the nervous system; it is neither emissive/masculine/Yang, nor is it receptive/feminine/Yin, because it incorporates both principles, or polarities. The essence of the nervous system is communication, and Hermes, or Mercury, is the god of communication, transportation, and commerce. Greek mythology also depicts Hermes as a clever trickster, sent out on missions by Zeus and other Olympian gods to do their dirty work. And so, Hermes symbolizes the Mercurial adaptability of the mind, which must survive by living by its wits and ingenuity. Esoterically speaking, the two intertwining snakes of the Caduceus symbolize the lunar Ida and solar Pingala channels of yogic philosophy, which must be cleared and balanced in order for the kundalini energy, or serpent power, to ascend from the base of the spine to the crown, producing enlightenment. In the Western esoteric tradition, this is called the Alchemical Marriage. Snakes also have a profound symbolic significance in science, medicine and healing. The snake, which periodically molts, or sheds its skin, is a symbol of healing, regeneration and renewal. In ancient Greece snakes, which move about without any visible means of support or locomotion, were considered to be the wisest and cleverest of all animals. It seems as if snakes were also solar symbols. Apollo, who gave the Caduceus to Hermes, is often pictured with snakes. And the staff of Asclepius, son of Apollo, has a snake entwined around it. The sun, as the source of all Life and energy in our universe, is deeply connected with healing and the expression of vitality and wellbeing in general. Here Hermes points to above.. The guiding principle of Hermetic Philosophy is AS ABOVE SO BELOW, AS WITHIN SO WITHOUT. Till this day she is the Patron Goddess of the Greek city of Athens and serves as its' guardian, where the Parthenon still serves as her temple. Athena is one of the 12 Olympian Gods specifically the Goddess of Wisdom and War and was known for protecting civilized life and having rational thought. She did not represent violent war, but rather strategic war where she could win with her use of whit. She was the Patron Goddess of the Greek city Athens and served as a guardian of Athens, where the Parthenon served as her temple. Athena was born from ZEUS forehead and she sprang fully grown and clothed in armor of gold helmet shield and javelin from his forehead (mind). Her name is composed of two words ΘΕΙΑ (God) and NOH (mind). Hence She is from Gods mind. She was Zeus' favourite child and he trusted her to wield the aegis and his thunderbolt. She also tamed the magnificent winged white steed, Pegasus, where she took him to Olympus and gave him as a gift to her father, Zeus, who would ride him across the heavens throwing his Enlightening bolts. Hermes (see previous post) and Athena (wisdom) went to the aid of PERSEUS IN HIS QUEST TO KILL MEDUSA (the lower mind) Looking directly at MEDUSA would turn any man to stone, so Athena provided PERSEUS with her polished shield. Using it, he was able to see Medusa as if looking in a mirror. Again, Athena guided his hand as he cut off Medusa’s head with his sword. Perseus gave the head of Medusa to Athena which she put on her shield. We are heroic souls like Perseus as we try to overcome the monsters of our soul and self heal with the help of reason/Athena. Only the wisdom of Athena can guide our logic, limiting the action of Poseidon, that is, our emotional monsters and storm of passions as water is symbolic of emotions and the flow of energy. As the Goddess of Wisdom THE OWL became Athenas sacred animal as they are known for being wise animals. THE OLIVE BRANCH (Athena's gift to Athens) stands for Peace and Victory. THE SNAKE has a profound symbolic significance in science medicine and healing. The snake which periodically sheds its skin is a symbol of healing regeneration and renewal. In ancient Greece snakes which move about with no means of support or locomotion, were considered to be the wisest and cleverest of all animals. Athenas ARMOR has the following anti disease properties: As she rarely appears without HELMETS this protects the mind from external fantasy and fears and at the same time demands our vigilance . She advises never to give up so that we do not immerse in the sleep of indifference, personal prosperity and complacency. With a helmet on the head, sleep is impossible.The helmet symbolizes that wisdom and strategy is the key to victory in war. The ÆGIS is Athena's shield which represents her protective power. It protects against emotionalism so that we do not accept intimidation of any kind and to be deregulated in our sympathetic nervous system with our phobias causing physical illness in our bodies ( the Poseidonian monsters of our emotional life). The JAVELIN is used against that which threatens our health, both physical and psychological declaring we are ready for war within our intellect and the possibility of killing the monsters of our desires and lower mind. Finally the statue of the WINGED NIKE that she holds in her hand, literally translated as Victory, is the Goddess of Victory. So Nike drives us to Victory through Wisdom (Athena) of the war within our intellect. Ήρθε η ώρα η Περσεφόνη να αποχωριστεί τη μητέρα της Δήμητρα.. η θεά της Γης χάνει ένα μέρος της που βυθίζεται στο υγρό απαλό χώμα.. η τελετουργία αρχίζει , ο ιερός γάμος τελείται , η ζωή ενώνεται με τον θάνατο σε μια διαρκή ένωση που θα δώσει και πάλι καρπό προς το φως. Συνταρακτικές ερωτικές δυνάμεις των αναβλαστικών θεών της ζωής και του θανάτου συντελούνται..
Στο υγρό χώμα ο σπόρος βυθίζεται και ετοιμάζεται στη μητρα της Γαίας , οπως ο σπόρος που κυοφορείται στο υγρό βελούδινο σκοτάδι στη μήτρα κάθε γυναίκας ..
Η Γαια ζωντανή θεά αναδιπλώνεται στους κρύους μήνες του χειμώνα για να προετοιμαστει για αλλη μία φορά για τη νέα κύηση. Η Περσεφόνη ενώνεται με τα Ιερά δεσμά του γάμου με τον Πλούτωνα .. Η ζωή και ο θανατος. "Πλούτων, ὃς κατέχεις γαίης κληῖδας ἁπάσης, πλουτοδοτῶν γενεὴν βροτέην καρποῖς ἐνιαυτῶν· ὃς τριτάτης μοίρης ἔλαχες χθόνα παμβασίλειαν, ἕδρανον ἀθανάτων, θνητῶν στήριγμα κραταιόν"
Ω Πλούτωνα που κρατείς τα κλειδιά όλης της γης και παρέχεις πλούτο στο γένος των ανθρώπων, η έδρα των θεών, το στήριγμα των ανθρώπων,..
Το μεγάλο μήνυμα των Μυστηρίων είναι οτι θάνατος δεν ειναι το τέλος ,ειναι στήριγμα κραταιόν, όπου πατάει γερά η ζωή . It is time for Persephone to separate from her mother Demetra .. the goddess of the Earth loses a part of her that sinks into the wet soft soil .. the ritual begins, the sacred marriage is done, life is joined by the death to a lasting union that will give fruit again to the light. Syntactic love powers of the revivalist gods of life and death take place .. In the damp soil, the seed sinks and prepares itself in the womb of Gaia, like the seed that is grazed in the fluid velvet darkness in the womb of every woman. The goddess of live goddess wraps in the cold months of winter to prepare for once again for the new pregnancy. Persephone is united with the sacred bonds of marriage to Pluto. Life and death. "Wealth, you possess a land of grain, rich in generations of walnuts, a third degree, of a passion, of immortals, of a mortal beast"
Oh Pluto who keeps the keys of all the earth and you provide wealth to the people's genes, the seat of the gods, the support of the people, .. The great message of the Mysteries is that death is not the end, it is a keen support, where life endures. The circle closes and opens infinitely to give birth to a new life again to the warm light.